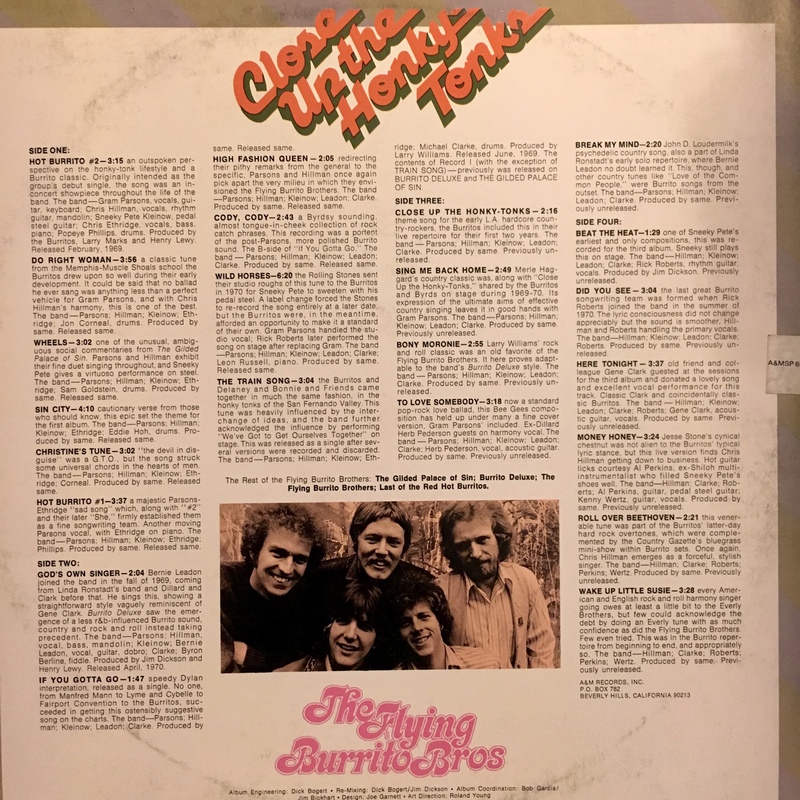 The first Flying Burrito Brothers album I purchased, on April 27, 1984, was the two-LP Close Up the Honky Tonks compilation that covered the band’s prime 1968-72 years. It collected tracks from their first two albums with Gram Parsons, b-sides and a few rarities. 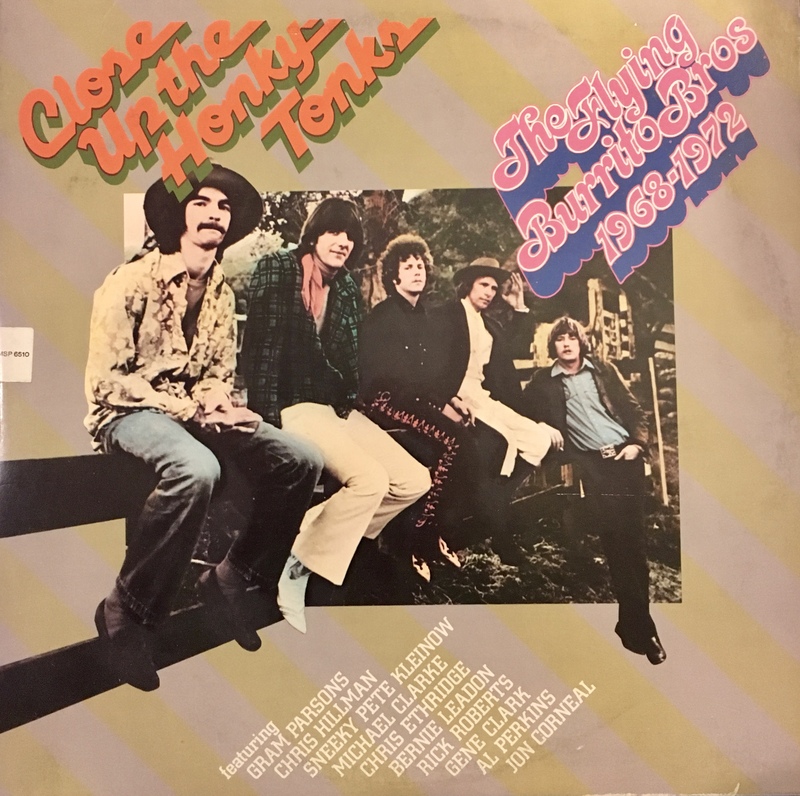 The fourth side featured songs from the post-Parsons era of the band – though, oddly, nothing from their first post-Parsons album. But I enjoyed that material so much that, a few days later, I picked up their self-titled third album, which was originally released in June 1971. He, and other critics, couldn’t be more wrong. In some respects, the music is a forerunner of Hillman’s work with the Desert Rose Band, which had a good run in the country charts in the late ‘80s and early ‘90s. (Diane and I saw them twice in those years. Great shows.) Whereas Parsons injected R&B and gospel into the mix, Hillman introduced bluegrass – and, too, surprisingly plaintive vocals. Newcomer Rick Roberts, who’d go on to Firefall and “You Are the Woman,” is in fine form, as well, contributing some wonderful songs and vocals.